12 Month Warranty on Ants ! The team are here to help answer your questions or set a time for your Pest Treatment. Your enquiry should be responded to within an hour of you submitting this form. Our unique Pest Packages are designed to suit almost every situation. Please do not risk it, get your home inspected for Termites at least once a year. It is incorrect to assume that just because your home has brick on the outside, it is safe from termites. Your home is probably a timber-frame home, meaning that there is a massive amount of timber holding up your internal walls. This is exactly where the termites are, and due to their cryptic nature will continue eating away at your timber internal walls until it is too late. For the sake of your property, at the very least please give us a call to discuss. Termite Inspections, Termite Barrier treatments and Termite Baiting programs make up the majority of our work. Our Termite & Pest ‘Double Deal’ is proving to be a winner for our clients. For just an extra $130.00 over and above the price of a Pest Spray, you cannot go wrong with allowing us to conduct a thorough Termite inspection of your property. Our Pest Technicians are put through our rigorous in-house Quality Control program before they are permitted to visit your home. Furthermore, they attend ongoing update training with our vendors to keep abreast of the very latest changes in our industry. 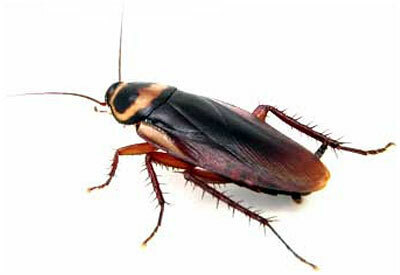 Our Pest Spray is a general treatment for Cockroaches, Spiders, Ants and Silverfish. It comes as standard with an industry leading service warranty. Our ‘Flea’ treatment is a programme that comprises of a full spray inside your home and the area outside where your Pet ordinarily sleeps. This programme will require specific assistance from you, the homeowner to ensure the fleas stay away. We will give you plenty of advice before, during and after the treatment to help keep those annoying fleas at bay. Our ‘Rats & Mice’ treatment will target just those two pests. The technique used to rid your property of these pests is different to the method used to treat the other common pests. You should attend to your Rats and Mice problem asap as these are destructive pests. They chew through electrical cables and piping, which could lead to a dangerous fire risk if left untreated. 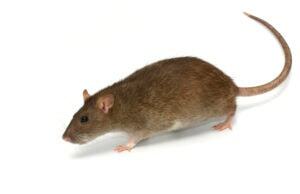 Rats and Mice also carry disease that they spread into your kitchen area at night while you are sleeping. Feel free to ask about our excellent value ‘Add-on’ options. This option, when bundled with our Pest Spray offers fantastic value. Swarm Termite & Pest has every situation covered.